Google today announced improvements to two of its up-and-coming search technologies, Google Squared and Rich Snippets. The changes, while relatively minor, provide a peek at search tools that will likely become common in the near future. Google Squared, which debuted with Rich Snippet last year, is an ongoing effort to organize some search results in an easy-to-read table of rows and columns. The latest enhancement, called “answer highlighting,” strives to call out relevant information by bolding the likely answer in the query results. Here’s an example of how it works. 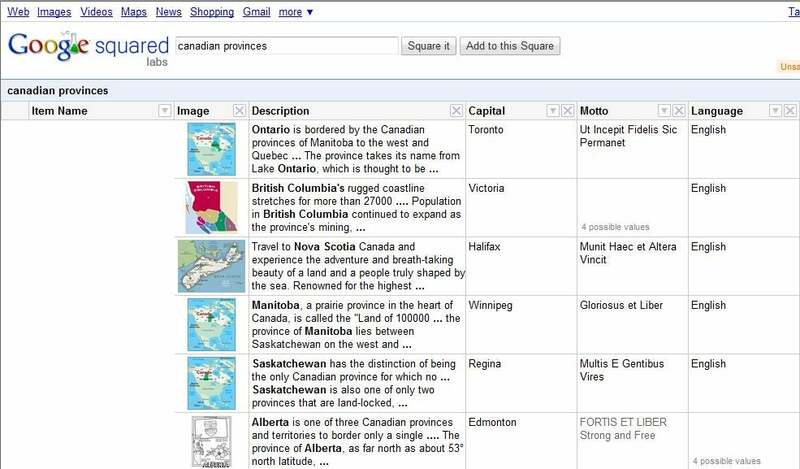 At the Google Squared test site, I searched for “Canadian provinces.” The results page was in the form of a table (click image at left to enlarge). 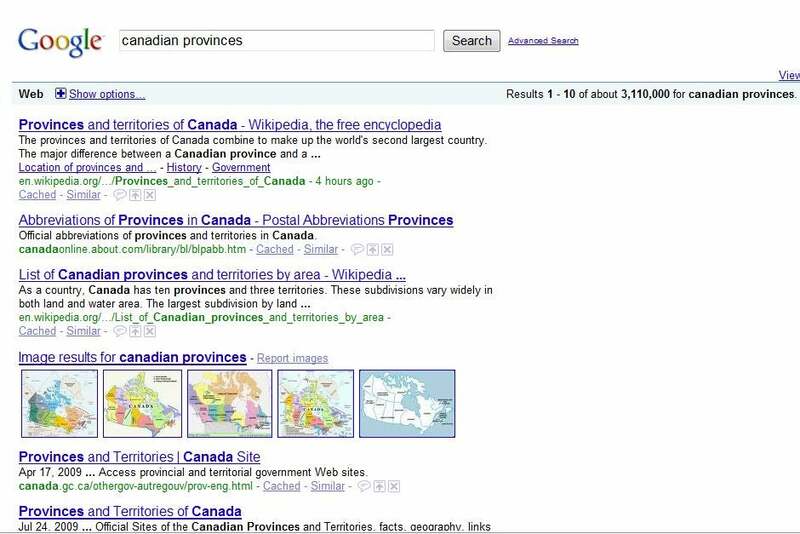 The new answer-highlighting feature displayed the names of the Canadian provinces in bold text. Now, contrast the Google Squared page with one from Google’s standard search site. Answer highlighting isn’t appropriate for all queries, though. “For example, the answer to [history of france] can’t readily fit in a search snippet. However, for the kinds of information you can easily put in a table, we’ve been able to take what we’ve learned from Google Squared to make search better for a wide range of queries,” wrote product managers Kavi Goel and Noah Weiss on The Official Google Blog. Rich Snippets, which requires participation from webmasters, may take a while to roll out. It provides summary information of query results in “snippets,” or windows. Web sites must annotate pages with certain information to make it work. Rich Snippets will be rolled out gradually, Google says.